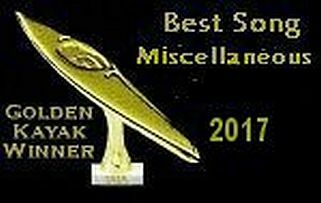 Neil was honoured to receive his third Golden Kayak Award Sunday, January 14, 2018 at the IAIA (International Academy of Independent Artists) online Awards ceremonies for "Best Song 2017" in the "Miscellaneous" awards category for his cover of "Hey Boba Lou" written by Robbie Robertson. 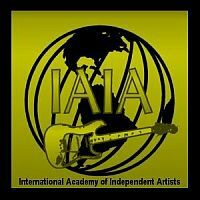 Nominations and voting for the IAIA Awards are made by artist peers at IndieMusicPeople.com. "Hey Boba Lou" is one of 14 cover songs Neil licenced and recorded for his Restless Wind Records CD album Those Were The Days by Neil w Young & The Hot Rod Stars. 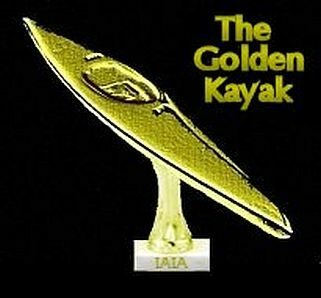 Neil is greatly honoured to have been nominated by his peers at IndieMusicPeople.com for an IAIA (International Academy of Independent Artists) Golden Kayak Award for his cover of Hey Boba Lou featuring Mary Jo Bailey Lyell on his CD album Those Were The Days by Neil w Young & The Hot Rod Stars. The song was written by Robbie Robertson and was presented by Robbie to Ronnie Hawkins who at the time was looking for new songs for a new album. Ronnie Hawkins recorded the song in 1959 for his Mr. Dynamo album released in January 1960. He is particularly honoured and humbled - shocked really - to also be a nominee for a Golden Kayak Award in the category of Best Male Artist at IndieMusicPeople.com, a large international community of independent artists. 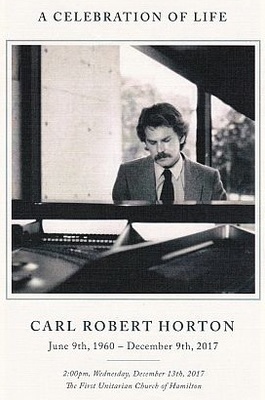 The sudden death at the age of 57 on Saturday, December 9, 2017, of Carl Horton, pianist and valued musician is a devastating loss to the Hamilton and area music community. Carl's contribution to the songs on my soon to be re-released 'Those Were The Days' album and on my new and as yet untitled album which we are currently recording has been monumental to say the least. You can hear Carl's piano and Hammond organ proficiency on my covers of "Little Darlin'" (piano), "The Night Hank Williams Came To Town" (piano) and "Southern Love" (Hammond organ). The songs are on my aforementioned 'Those Were The Days' album. Carl was in the studio recording tracks on my new album only a few days before he died. It is so difficult now to comprehend that my album and songs were the last music he had recorded. His work and contribution on both albums has been responsible for raising the bar for me as a songwriter and recording artist. An accompanist to some of Canada's musical greats including Ronnie Hawkins and Ian Thomas, Carl was the director of Recording Arts Canada, a music production school with campuses in Toronto and Montreal, as well as a member of the Faculty of Music at Mohawk College. Some of Carl's performance highlights include appearing before Prince Charles, Prime Minister Jean Chretien, and President George H.W. Bush. On behalf of my fellow musicians, production and recording crew and team, I extend our profound sympathy and condolences to Carl's family and our heartfelt thanks and sincere love and appreciation for having had Carl in our lives and music. Neil was honoured to receive the IAIA (International Academy of Independent Artists) Golden Kayak Award for 2016 Best Classic and Progressive Rock Song - "Fire On The Water", from his third CD album, Old Memories. 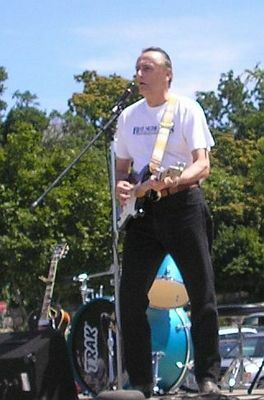 Neil's albums and songs are available on iTunes and on cdbaby.com. NEW to the Cavern of Dreams Publishing online store! 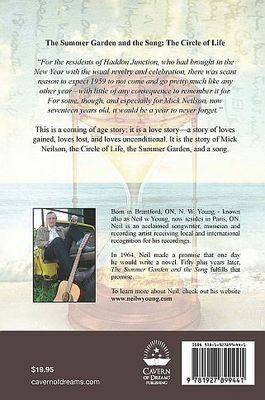 Neil's CD albums and Books 1 and 2 of his epic two-book love story, The Summer Garden and The Song are now available at http://shop.cavernofdreams.com/product-category/n-w-young/ and at Green Heron Books, 47 Grand River Street North, Paris, Ontario. Neil was honoured to be added to the Wilfred Laurier University Alumni Authors website. Book 2, The Summer Garden and the Song: Harvest was released on November 24, 2016. Books 1 and 2 of The Summer Garden and the Song, a realistic fiction love story, circa 1959, is a coming of age saga set in and around the fictional village of Haddon Junction in Norfolk County - the tobacco belt heartland of Southwestern Ontario at the time. 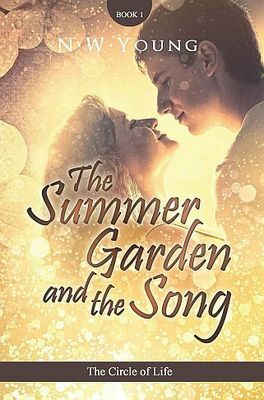 It is a story of loves gained, loves lost, and loves unconditional - Mick Neilson's story - The Summer Garden ... The Circle of Life ... Harvest ... and the Song. Book 2, The Summer Garden and the Song: Harvest continues Mick Neilson's story. Readers will enjoy the countless cameos of tobacco harvest and related events, music, people and places from the era. Book 1 and Book 2 of The Summer Garden and the Song can be purchased from the publisher at http://shop.cavernofdreams.com/product-category/n-w-young/. They are also available on Amazon.ca and Amazon.com. They also can be purchased locally at Green Heron Books, 47 Grand River St N, Paris, Ontario N3L 2M3. Call Green Heron Books at (519) 442-1822 to inquire if copies are currently in stock. Anyone wishing to order a personalized and autographed copy of Book 1 and/or Book 2 of The Summer Garden and the Song direct from Neil can message him here on the Contact tab and he will provide a PayPal link where payment can be made by credit card or from a PayPal account - OR, if you would rather, you can send an international money order to N. W. Young, P.O. Box 386, Paris, Ontario, Canada N3L 3T5 for the cost of the book plus the appropriate postage/shipping cost to your address. Book 1 and Book 2 are $20.00 each or $35.00 if purchased together at the same time. For single book purchase postage/shipping rates are as listed below. For postage/shipping cost of both Book 1 and Book 2 together contact Neil via the Contact tab on the web site for the cost to your address. 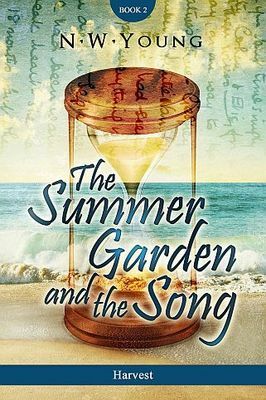 Book 1 of Neil's long anticipated two-book novel, a love story,The Summer Garden and the Song: The Circle of Life was released on July 8, 2016. Saturday, July 23, 2016, Neil will be at the Paris Craft & Vendor Market, Special Events Hall at the Paris Fairgrounds, Paris, Ontario through most of the day from 9 a.m. to 5 p.m., to autograph copies of Book 1, The Summer Garden and the Song: The Circle of Life, as well as copies of his CDs No Looking Back, What Difference Will It Make and Old Memories which are now also available on the Cavern of Dreams website. Neil was nominated for Best Country Song in the 2015 Golden Kayak Awards for his song, Shining White Eyes from his sophomore CD album What Difference Will It Make. Neil was the recipient of the Golden Kayak in the 2008 IAIA (International Academy of Independent Artists) Awards for Best Country Song 2007 - "The Cowboy Song". 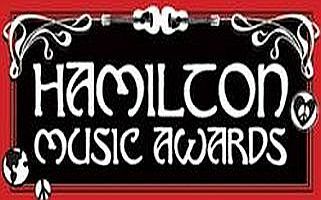 Neil was honoured to be a nominee at the 2012 Hamilton Music Awards for Alt/Country Recording of the Year for his album What Difference Will It Make released in July 20. Neil was honoured to be a nominee in the 2008 Hamilton Music Awards for New Country Recording of the Year for his debut album No Looking Back released in August 2007.